Prayer Journal | Turn it Into a Blowtorch! Prayer Journal and Guide for the book. 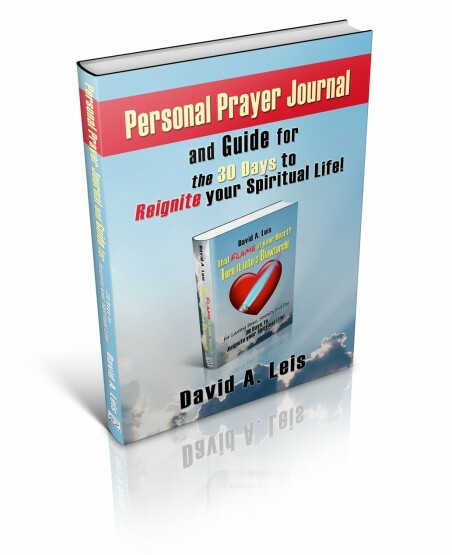 Use this Personal Prayer Journal and Guide along with the book, “That Flame in Your Heart? Turn it into a Blowtorch!” to get the most from your journey. There is room for your reflections on each Day in the book and Volume Two messages, as well as for each question at the end of each Day. NEW! Contains the following not found in the book to help you on your 30 Day spiritual adventure! The section on Spiritual Resiliency and Neuroplasticity is so powerful every Christian should read it! If you want greater peace, serenity and joy in your life, then this 30 Day program is for you! The book, “That Flame in your Heart? Turn it into a Blowtorch!” is a 30 day journey of the heart that will reignite your spiritual life turning whatever is there into a Blowtorch! It introduces the reader to a deeper, more intimate dialogue with the Person of Jesus Christ beyond what they may have previously known. The fruit of that journey is peace, serenity and joy in every circumstance of your life no matter what you are going through. And He does not care who or what you are, saint or sinner. He wants a more intimate relationship with you and only cares that you get started now, not later. Big promise? Yes, but as you will come to realize, the unique style of the book will bring you immediately into a dialogue with Jesus who always exceeds your expectations! Its format lends itself to spiritual/inspirational reading or as a small group program in your church.